In a highly unusual show of public indignation in Uzbekistan, a clamor is rising for the police to undertake a thorough investigation into the killing of an 18-year old student. 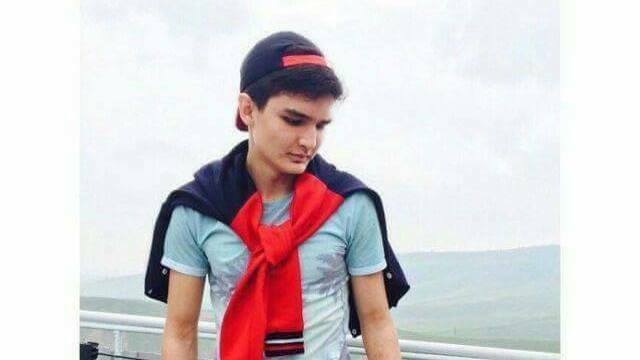 Over the weekend, a large amount of internet users in the country has been sharing images of a smiling Zhasur Ibragimov, who was hospitalized on the evening of May 3 after sustaining what his relatives say was a beating meted out by fellow students at a medical college. Aliyeva said she took her son to two hospitals only to be turned away. A third hospital, Tashkent’s Surgical Children's Hospital No. 2, agreed to treat Ibragimov, but to no avail. After undergoing five operations, the young man succumbed to his injuries on June 1. As of the evening of June 5, the petition calling for an investigation had drawn more than 17,000 signatures. Even more significantly, around 200 people gathered in Tashkent’s central Bobur Park on June 4 to collect signatures from the public. The head of the city police’s investigative department, Doniyor Tashhodjayev, turned up to speak to the crowd and promised that the culprits would be caught. The semi-spontaneous appearance of a large number of people in the center of the capital is something unusual for the Uzbek authorities, who have spent decades forcefully discouraging the public from any such activities. That a senior police officer came to engage peaceably with the gathering constitutes a particularly notable event. From the scant testimony accounts Zhasur Ibragimov was able to provide, it appears that the fatal attack was the work of six students. Ibragimov reportedly recalled all their names. But Ibragimov’s parents say that despite their numerous appeals to the medical college and the police, no investigation has been pursued and no action been taken against the suspects. After Aliyeva posted a letter addressed to the president on social media, the incident turned into a public sensation. Over the weekend, countless internet users began adopting the hashtag #СправедливостьЖасуру (#JusticeForZhasur) in a call for action. On June 5, following the intensification of the outcry, Tashkent city police announced that they had opened a murder investigation. The police have promised they will keep the public informed of developments. Later in the day, ferghana.ru reported that the General Prosecutor’s Office had announced the detention of at least one suspected assailant, who it named as Islom Tulaganov. Ibragimov’s death has now sparked calls for more to be done to root out bullying and hazing in schools and universities. Some Uzbek Facebook users have now begun adopting the hashtag #МеняТравиливШколе (#IWasBulledAtSchool) to raise awareness of the issue. The scale of the reaction to these events could well have implications beyond this case if it creates a precedent for a transparent police investigation. “The outcry has now reached the level that we may see the start to calls to create a public commission to independently monitor the investigation into the Zhasur Ibragimov case,” rights activist Shukhrat Ganiyev told EurasiaNet.org.